Location: Lupiac, in the Gers departement of France (Midi-Pyrenees Region). 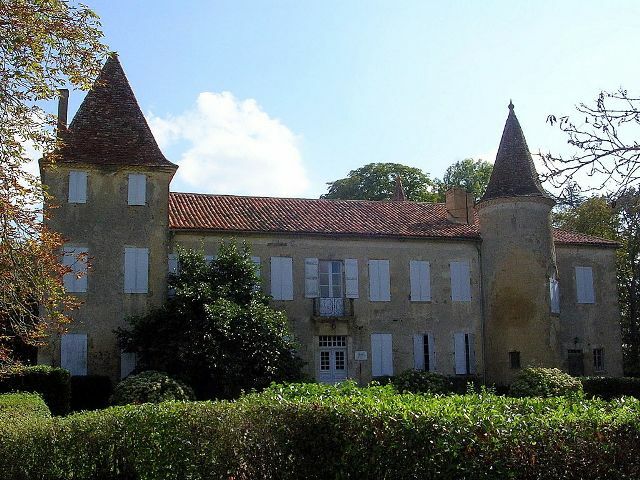 Notes: Château de Castelmore is located in the town of Lupiac, in the French department of Gers.The castle saw the birth of Charles de Batz Castelmore Count d'Artagnan, who died at the siege of Maastricht in 1673. The lieutenant of the first company of musketeers was immortalized by Alexandre Dumas and is much better known as the "d 'Artagnan. " It is now the figurehead of Gascony. Today the castle is owned by the family of former Senator and Mayor Yves Rispat (who died in January 2015). It is partially registered historic monument by decree of December 7, 1993.